It is a side of Lawrence Taylor that most people never see or hear about. 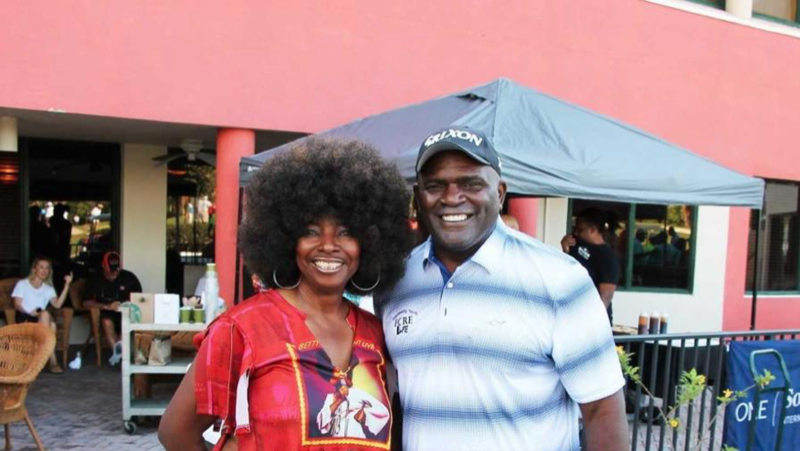 The same passion that made Taylor a Hall of Famer and arguably the National Football League ‘s greatest defensive player was on display at the 10th Annual Lawrence Taylor Throwback Celebrity Golf Weekend. The event involving 200 participants was held at the Woodmont Country Club in Tamarac . When it comes to supporting a worthy cause like Fore Life Inc., that offers at-risk youth an opportunity for quality mentoring and golf programming at little or no cost, Taylor is all on board. The Team Challenge was won by Winfred Glover, James Smith, Johanna LaRosa and Bryant Wardlaw with a score of 37, which was the lowest number in ThrowBack history. They were followed in the order of finish by Eric Knowles, Ron Moore, Mark Jackson and Gene Huey; and Mike Bell , Kevin Salley, Demetrius Salley and Tim Chatman (both with 43s). Low scores were attributed to Throwback Packs that were purchased to help save strokes. Taylor wasn’t the only Hall of Famer in attendance as there were plenty of celebrities who came to support Fore Life Inc. Hall of Famers Rickey Jackson, Richard Dent, Eric Dickerson and two of LT’s former New York Giants teammates Brian Kelley and Thomas ‘Pepper’ Johnson were in attendance. Kelley was a former 11-year veteran linebacker with the Giants and played four years with Taylor. Taylor gets to see firsthand the impact the Fore Life Inc. program has on local children. Taylor was the obvious main attraction, but he was quick to give praise to all the volunteers who helped make the tournament such a success. He is especially grateful to one person. Pearson-Tucker is an LPGA Teaching and Club Professional and head golf professional for the City of Lauderhill . She serves as the Executive and Tournament Director of Fore Life, Inc.
For more information, visit www.forelifeinc.org.